Completed Book Task! 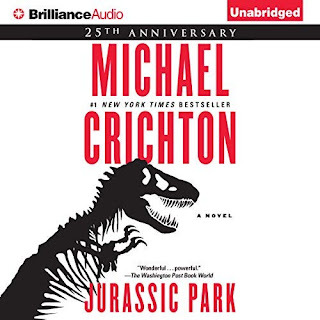 Finished re-reading Jurassic Park by Michael Crichton on 12/10/2018. With this update, I've officially completed all the tasks I will probably complete for this door. Completed Task 4 - Treat yourself to some Mexican food! Also updated the Book Task to reflect my chosen book. I'm stealing ideas. I like this idea of just reserving a post per square and filling in the deets as each task is completed, so I'm going to do the same. Meanwhile, I will also keep a separate tracking post linking to each of these Door/Square posts. I'll link to another separate post from these individual Door/Square posts if a task merits its own independent post. First task up for completion is Task 2 - Sharing an epitaph. Write a silly poem or limerick poking fun at the fiction character of your choice. I don't poem or limerick, so more than likely skipping this one. 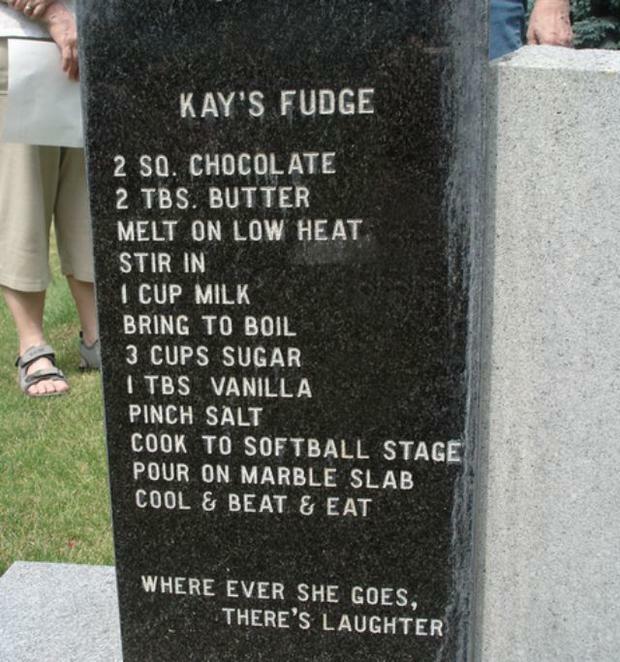 Share your favorite gravestone epitaph (you know you have one). 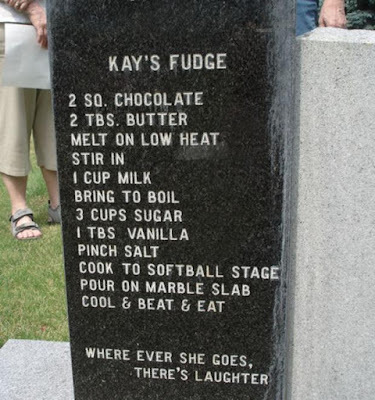 I actually don't have a favorite gravestone epitaph--at least none that immediately come to mind. But in light of the festive activities, I decided to do a little Google search and came up with a couple that stood out to me. Apparently that second epitaph is inscribed on the grave marker of one Wade Huff Andrews. 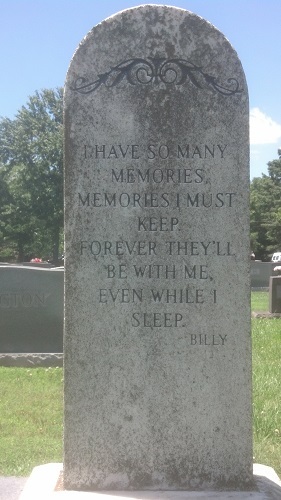 You can see different angles of the tombstone at the memorial page I found, linked above. Create an altar (either digital or physical) for your favorite book, series, or book character, and post a picture of it. Inclusion of book cover encouraged. It's hard to find a single favorite book or series out of so many I personally love, so this one is under consideration at the moment. I figured if I haven't done anything for this task by now, I'm more than likely skipping it. If you like Mexican food, treat yourself to your favorite dish and share a photo of it. And so, the first thing I thought to do on my first free weekend since the game began, was get myself some tamales! To be totally honest, Mexican food isn't exactly my go to type of food. I like tacos and chips and salsa. I like queso... a lot, even though I shouldn't be indulging too much in anything that creamy. Tamales, though, are my utmost favorite of Mexican food, thus far in life. I first encountered them when a relative made them for us, and something about that corn dough and the juicy meats wrapped within just really hits all the right spots. It helps that I have a thing for corn (cheesy corn casserole is one of the best things I know how to make... among the very few dishes I know how to make...). 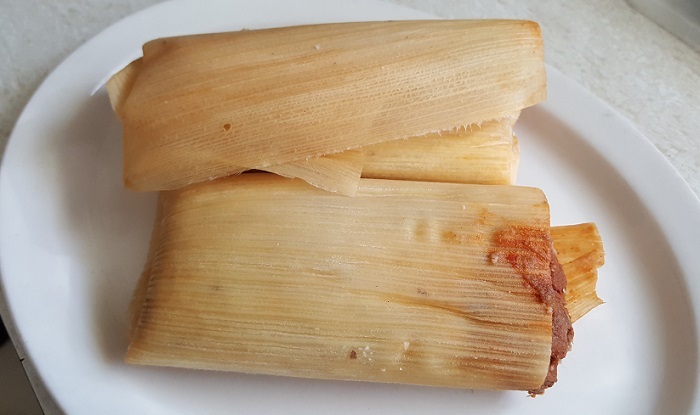 Tamales, unfortunately, I DO NOT know how to make. And thus, it's either restaurant, or store bought, and I had picked up a package of tamales a few days ago thinking I might just heat a few up for my task. Of course, I DID also consider, briefly, just running out to a restaurant and enjoying myself. But I'm glad I picked up a package of these, because wanting tamales for lunch today, I did not feel like leaving the house, on account of it's very, very cold out today. The above picture shows the tamales before I remove the corn husk wrap. Also before microwaving them. The below picture shows my attempt at putting together a fancy luncheon meal with a side of salsa and avocado. These aren't the best of pictures, nor the best placement on a dish for any wonderful aesthetic appeal. 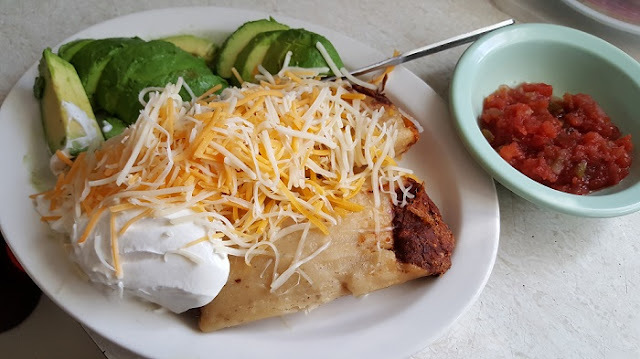 I had considered making the entire thing look pretty, but after I plunked my side dish of avocado down, and tried to add sour cream... well, the entire thing sort of fell apart. I tried not to cover up the entire tamale with the cheese, to show what it looks like unwrapped, though. And yes, I enjoyed myself a lot! 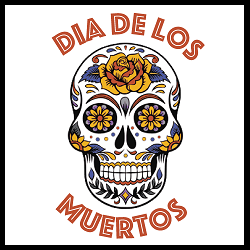 Re-read an old favorite from a now-deceased author, a book from a finished (dead) series, or a book set in Mexico. One possible book is Jurassic Park by Michael Crichton, probably because of our Flat Book Society read this month. Finished listening to the audio book of Jurassic Park, written by Michael Crichton, narrated by Scott Brick. This will fit the "re-read an old favorite from a now-deceased author" part of this task. I might have a review out at some point.